The Swamp Cedars in Spring Valley, Nevada have grown long memories. They stood on the valley floor under the bright Great Basin stars when the skies were still unspoiled by the encroaching glow of electricity. Beneath the trees’ branches, the blue petals of wild irises fluttered in the breeze. All of them — the trees, the flowers, the stars — swayed to the soft melodies played by the valley’s bubbling springs. Most of the Swamp Cedars’ memories are pleasant. Carried by glaciers to the valley floor sometime in the last two and a half million years, the Swamp Cedars remember when wooly mammoths plodded through the Great Basin. The wind through their leaves whispers of a time when the Swamp Cedars trembled under the shadow of great teraton birds who rode the skies with their 25-foot wingspans. The trees tell stories of native horses and camels that once ran the open spaces of North America and they remember the days when wild horses stopped at the springs to share a drink with the Swamp Cedars. Among the many gracious and enjoyable memories, which the swamp cedars collected over thousands of years there are however a few, which are extremely painful. The Swamp Cedars recall when a different kind of human first arrived in Spring Valley. These humans had pale skins and rode what the trees recognized as horses though they were a different species of horse than the native horses that had long since disappeared. At first, there were just a few of the pale humans, but the trickle turned into a flood. The Swamp Cedars wince as they recall their first experience of steel — the excruciating pain that came when the first ax drove deep into living Swamp Cedar wood. Worst of all, the Swamp Cedars witnessed the Newe screaming as the blue-clad humans on horses rode them down, while puffs of white smoke turned into a haze and sharp cracks of rifle fire filled the sacred air. The Swamp Cedars still have in mind the taste of blood in the soil when the bubbling springs turned red. The Swamp Cedars carry an aura of magic. In fact, they are not cedars at all. They are actually Rocky Mountain junipers (juniperus scopulorum) and Rocky Mountain junipers always grow on dry, rocky mountain slopes or in somewhat shaded canyons. Always — except for the Swamp Cedars. Mysteriously, the Swamp Cedars grow in valley bottom woodlands that are flooded part of the year. The Swamp Cedars are sacred to the Shoshone (Newe in their own language) peoples. 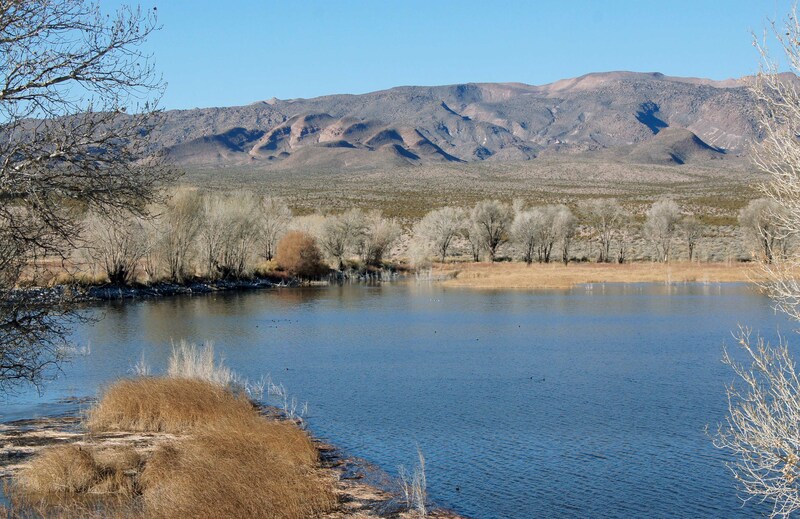 According to Shoshone elder Delaine Spilsbury, Nevada’s Native peoples were hunter-gatherers who roamed the region in small familial groups while they searched for food. The Swamp Cedars were centrally located in the Shoshone’s traditional territories and offered ample shade during the hot Great Basin summers. Beneath the trees are a series of springs. Water from the springs encouraged plants and animals to prosper. The Shoshone found many game birds and animals, medicinal plants, and fish in the nearby streams and ponds. Not far away from the Swamp Cedars, pinyon pine forests grew bounties of pine nuts. With these conditions, the Swamp Cedars became the favorite gathering place for the Shoshone and a sacred ceremonial site. The Swamp Cedars became also a massacre site — three times over. Delaine Spilsbury explains that two of the massacres are of official military record while the last massacre was committed by vigilantes with no military involved. The third massacre happened in 1897. This massacre is only remembered because two little girls hid in a ditch and were not discovered by the white vigilantes who murdered everyone else. The two little girls walked south to the Swallow Ranch. One of the two survivors was named Mamie by the Swallow family. Later, she married one of the Swallows’ hired hands — a Paiute man from Shivits, Utah, named Joe Joseph. Delaine Spilsbury is the granddaughter of Mamie and Joe Joseph and, therefore, a direct descendant of a survivor of the last Swamp Cedar massacre. The Swamp Cedars are under attack. Close to 300 miles south of Spring Valley, the City of Las Vegas sprang up in the desert. Las Vegas is also known as “Sin City,” because of the city’s tolerance for numerous forms of adult entertainment, and the population continues to grow in an arid landscape, which means that the place is running out of water. Instead of restricting development, authorities encourage even more people and businesses to move to the city, promising them access to all the water they’ll need. 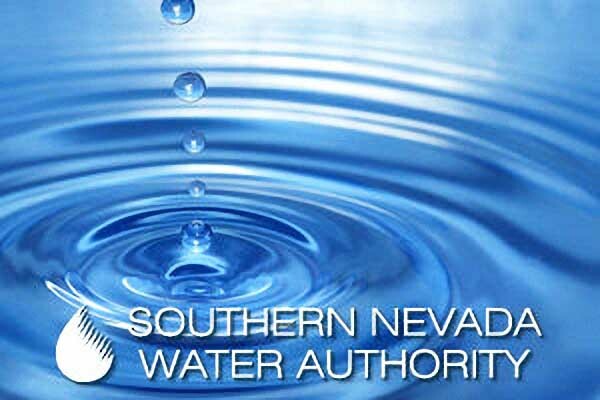 In 1991, the SNWA (Southern Nevada Water Authority) was created through a cooperative agreement among seven water and wastewater agencies in Southern Nevada including Big Bend Water District, City of Boulder City, City of Henderson, City of Las Vegas, City of North Las Vegas, Clark County Water Reclamation District, and the Las Vegas Valley Water District. The bulk of this plan hinges on a large pipeline from Las Vegas to rural eastern Nevada. The main pipeline is estimated to include 263 miles of buried water pipelines while an estimated 96 to 254 miles of collector pipelines will feed water to the main pipeline. The entire pipeline will pump 27 billion gallons of water from the desert annually. Between 71 and 88 wells will have to be dug in fragile ecosystems while somewhere between 96 and 254 miles of overhead distribution power lines will be built in a region famous for wildfires. The water will be taken primarily from 4 desert valleys: Spring, Cave, Dry Lake, and Delamar Valley. 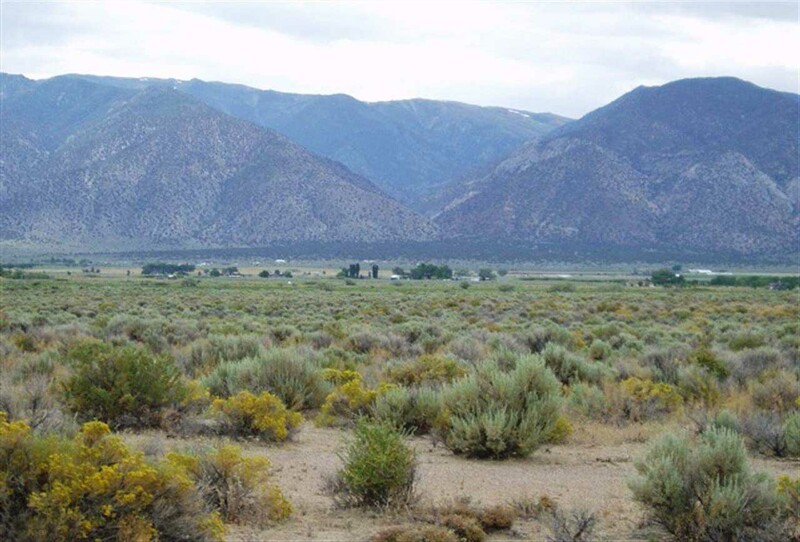 In other words, SNWA’s Groundwater Development Plan would destroy much of the Great Basin, would destroy Spring Valley and would destroy the Swamp Cedars. This means human activities are already undermining life in the area. There are the obvious answers. The world will lose the Swamp Cedars, Spring Valley’s ability to support life, and a place of cultural significance for a historically oppressed people. Las Vegas will continue growing and, as it gets bigger, will require ever more water to support the city population. Eventually, the city will reach farther and farther to steal water, destroying community after community till it cannot find any new sources. Then it will collapse and many of those who have been forced to rely on the city’s infrastructure for the necessities of life will perish. These are frightening prospects, these will be grievous wounds, and they give us all the reason we need to know to oppose and fight the SNWA’s plans. There are wounds that strike even deeper than these, though. They are wounds that scrape our spirits. They are aimed at our souls, erasing our collective memory and chilling our courage to resist. Understanding the Swamp Cedars, listening to their stories, and sharing their memories helps us to regain our own memories. Regaining our memories will enable us to see more clearly. What will we discover when we see clearly? We will see that this culture’s pattern of abuse is not inevitable and not sustainable. Las Vegas’ water shortage is the result of a complex of situations, developments, and pressures that both leads to and springs from the growth of cities. Cities are groups of people concentrated in one place high enough to require the importation of the necessities of life like water. This is a way of life built on the exploitation of peripheral areas and it can never be sustainable. 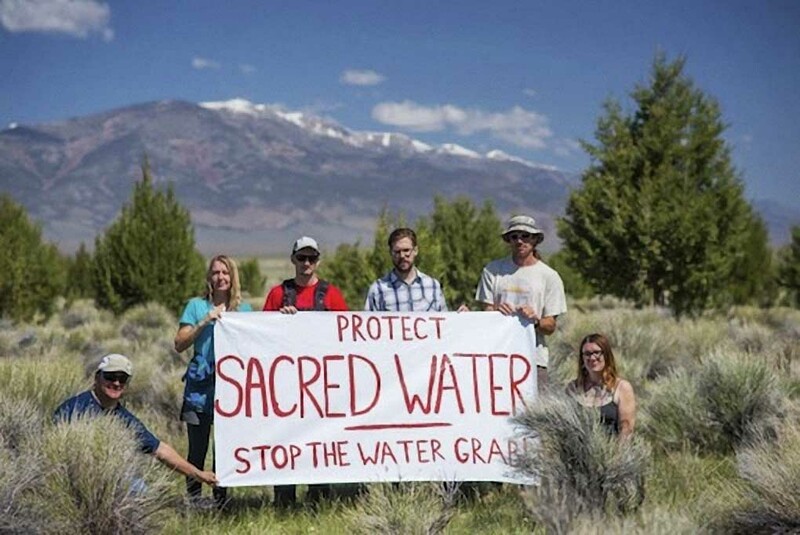 Contrast this to the hunter/gatherer culture practiced by the Shoshone — the people who will suffer the most from SNWA’s water grab. 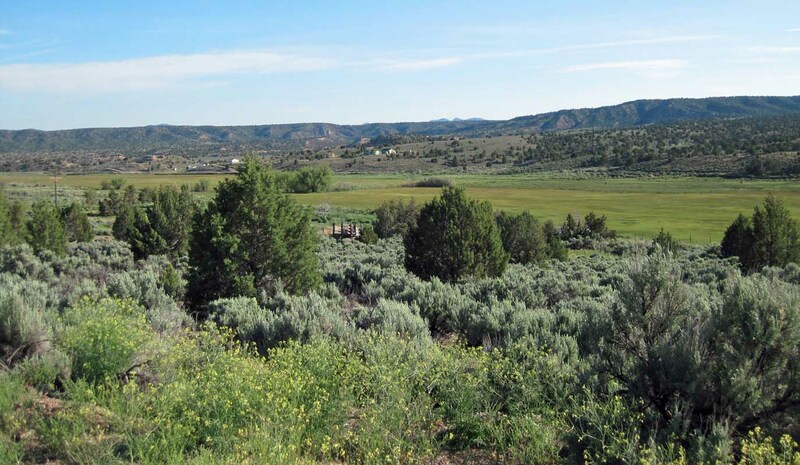 The Shoshone lived sustainably in places like Spring Valley for thousands of years without destroying the land. The dominant culture, on the other hand, has been in the area since the 1860s. And, already after this comparatively short time, the Great Basin is on the verge of collapse. Central to Shoshone culture is the idea that the Swamp Cedars are sacred. As the Shoshone teach that the victims of the Swamp Cedars massacres remain in the trees, they ensure that the lessons of these massacres will never be forgotten as long as both the Shoshone and the Swamp Cedars survive. Beyond and behind the bureaucratic language of necessity and reason, the Swamp Cedars’ sacredness appears to be the prime motivation for the dominant culture’s destruction of them, like it is the prime motivation for the destruction of indigenous peoples’ sacred places around the world, and ultimately for the annihilation of every last indigenous culture. In destroying the Swamp Cedars, in destroying sacred places, and in destroying indigenous cultures, the dominant culture destroys examples of true sustainability. The dominant culture wants to erase all memory that there are other, more beautiful ways to live. For the vast majority of human history and in lands around the world, humans built cultures based on the notion that all living beings are sacred. Fish, birds, and animals were our kin. Mountains housed gods, rivers spoke the mysteries of existence, and spirits lived in the trees. When every living being is sacred, it is sacrilegious to destroy wantonly and the kind of total annihilation we face in modern societies is simply unthinkable. When a small minority of human cultures banished the sacred to abstract sky gods or denied the possibility of the sacred in any form, they turned a living, speaking world into nothing more than materials to use. Surrounded, as this small minority was, by humans who still respected the sacredness of all life, this small minority was incredibly insecure. To maintain their lies, they had to destroy the reminders. Natural community after natural community, species after species have fallen victim to this culture. The dominant culture is a serial killer. And, just like any serial killer, the dominant culture will destroy every last scrap of the evidence of its crimes if we let it continue. The Swamp Cedars, by their sacredness to the Shoshone, by the memories they carry, by their very existence, betray the unspeakable evils committed by this culture. The dominant culture cannot afford for the Swamp Cedars to continue teaching the world about the beauty of life. Those who have understood the teachings of nature, who want to change the dominant culture and end the serial murders, who want to keep the hope alive have to keep nature alive, have to keep the Swamp Cedars alive, have to stop the SNWA water grab, have to stop all other biocidal projects.